Continuing its drive against spurious food and milk products, Punjab’s food safety teams made a big haul by nailing two tankers carrying suspected refined palm oil of 28 metric tonne (MT) and 27 MT each. About 1602 litres of cooking medium, 930 kilogram (kg) vanaspati and 800 litres refined soyabean oil was also seized along with confiscating 558 litres of expired cooking medium, informed commissioner Food and Drug Administration Punjab, KS Pannu. 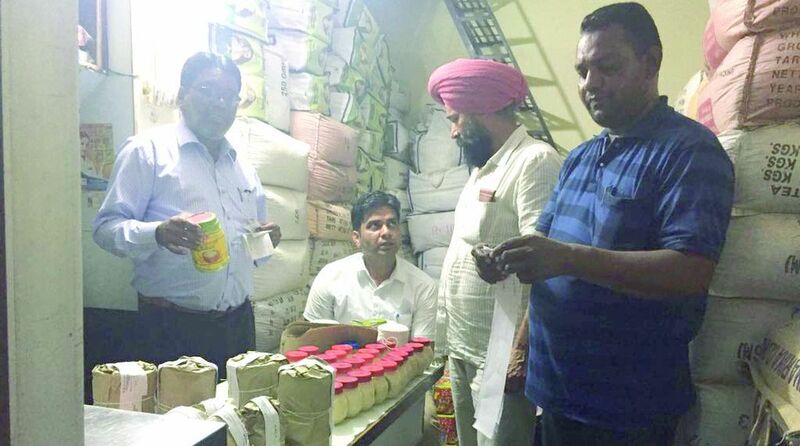 The food safety team of Mansa district along with dairy department raided a cooking medium manufacturing unit at Sardulgarh. The product was claimed to be prepared from milk fat but there was no trace of milk fat on the site. After the owner later admitted it, the team thereafter seized 89 boxes of cooking medium (1602 litres), 930 kg vanaspati, 800 litres refined soyabean oil. Samples of cooking medium, vanaspati and refined soyabean oil were taken for analysis. Also expired stock including 31 boxes (558 litres) of packed cooking medium and 390 litres loose of cooking medium in tins was also seized. In a special naka was set up by Food Safety Team, SBS Nagar at Garhshankar road Nawanshahr to trap suspected food items being transported from other states. Two tankers carrying refined palm oil of 28 MT and 27 MT each, being transported by two companies of Gujarat. Samples of suspected refined palm oil were taken from each tanker. Team Mukatsar along with police department, seized 23 litres of cooking medium branded as Aman Lite and 25 kg of duplicate Desi Ghee branded as Haryana Deep from Sidana Shop, Gur Bazar Malout. Samples were taken for further probe. Food Safety Team Fatehgarh Sahib in a joint raid with dairy department conducted at raid at 3 a.m. at Inder Dairy, Sarkapra village, Chunni Kalan.